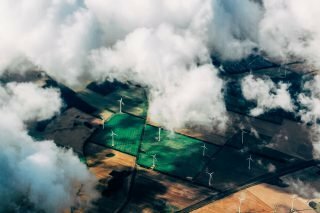 ﻿ Environmental Trends for 2018 - What's coming up? We reached out to our followers on social media as well as our ECO Research Community to learn about their predictions for environmental trends in 2018. Before we talk about the new year, let’s take a quick look at 2017. In September, the World Economic Forum published an article that suggests the future is battery-powered. China, Britain, France, India and Norway announced plans to move away from diesel cars and start focusing on producing electric vehicles. At the same time, growth of solar and other renewables will need effective energy storage technologies; therefore, predictions indicate that lithium-ion battery production will go from 30 GWh per year to 200 GWh in the next few years. These batteries are used in medical devices, cell phones, computers, drones as well as hybrid and electric cars. However, the article states that it’s still unknown whether we have enough raw materials for energy storage technologies and how sustainable they are. Another issue to address is how ‘green’ electric cars really are. The World Economic Forum also suggests that these kinds of vehicles produce high carbon footprint at the beginning of their lifecycle. This topic will continue to bring more discussion and analysis in 2018 as there’s need for new technologies and sustainability. Our community mentions climate change is one of the most challenging issues to face. The first letter was issued in 1992. While extreme weather patterns and rising sea levels keep affecting humans and ecosystems, our community members are also suggesting that climate refugees is another pattern we’ll observe. According to The Guardian, experts are already predicting that there could be millions of people forced to leave their homes due to climate change in the next decade. On the plus side, New Zealand’s new government is planning to create climate refugee visas. What kind of changes does Canada need to solve environmental needs? Two specific suggestions are on the table. A policy of investing in conservation. Budget for 2018 must include parks and protected areas to meet commitments under the UN’s Convention on Biological Diversity. Effective implementation of changes to the Environmental Assessment Act, Fisheries Act and Navigation Protection Act, especially those matters related to assessment of cumulative effects. In 2018, some major events and deadlines are taking place. If you want to keep an eye on the agenda, read what happened during the Cop23 UN climate talks and find out what’s coming up. What would you add to the list of challenges and policy changes?